Outdoor amenities that fell by the wayside during the housing downturn a few years ago are making a comeback now that the economy has improved. Creating that warm, cozy backyard feeling for entertaining or just grilling out with a little style and flare is high on the list of residents. The American Society of Landscape Architects (ASLA) and the American Institute of Architects (AIA) report that permanent outdoor fireplaces, fire pits and grills are hot among residential properties. AIA’s second quarter 2014 Home Design Trend Survey, which sampled more than 500 residential architecture firms, notes that demand for outdoor living spaces was up 33 percent from 2012. Also, ASLA reports that landscape architects who specialize in residential design rated outdoor living spaces – defined as kitchens and entertainment spaces – among the most popular. Respondents gave fire pits and fireplaces a 97 percent rating, followed by grills at 96.3 percent. In addition, outdoor seating and dining areas scored high. Johnny Kammerer, an account manager for Accent Pools in Arlington, Texas, says his company has seen an increase in installations for outdoor amenities for cooking and keeping warm in the last two or three years. Stone-encased fireplaces, fire pits and grills are more in demand because residents want to entertain at home or stay warm by a backyard fire on a chilly evening. The amenities are a perfect complement to a property that has a pool. Permanent, trendy built-ins fueled by either propane or gas are most desirable. Fireplaces, grills and fire pits are situated on patios and in covered areas to create an extension of the living room. Stringed lights are sometimes used to give a more festive feel. The amenities are built with safety in mind for the resident and property manager while offering an aesthetic appeal. Bases can’t be moved and are often built from cut stone or native rock. Propane tanks or gas lines provide the energy source. Timers are usually installed on fuel systems to avoid prolonged and unnecessary use. In some cases, installing a charcoal grills just keeps it simpler. “A resident can use their own charcoal,” Kammerer said. Depending on the type of home, grill installations can be elaborate or simple. Kammerer said Accent Pools, which offers outdoor installations in addition to pool building and landscape design services, has installed some large “L”-shaped systems that have multiple grills. While built-in fire places are popular, a simpler outdoor warming solution that offers a controlled camp fire feel is just as appropriate. 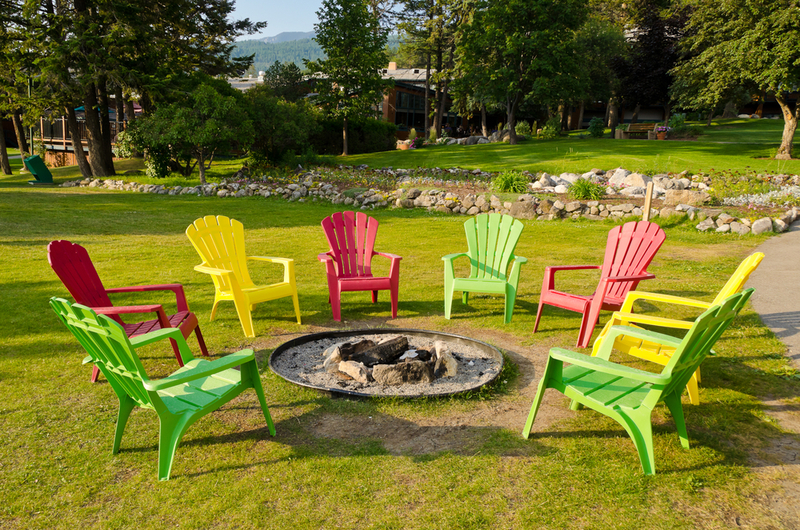 Small, sunken fire pits encourage the resident and guests to gather ‘round and swap stories and cook marshmallows. As with fireplaces, gas or propane is used to reduce the risk of a fire getting out of control. “The idea is to create a safe environment for the resident to relax and enjoy the evening,” Kammerer said. Whether a property chooses to install heat for preparing food or warming the soul, Kammerer says there should be plenty of seating available. 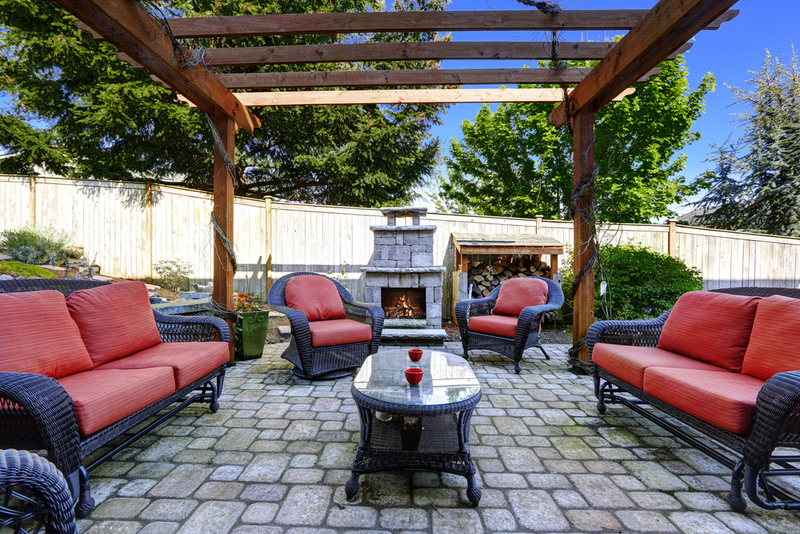 The comfier the area, the more the resident will feel like it’s the perfect backyard retreat. “It’s all about creating the perfect backyard feel for the resident,” he said. Next Article: Can your Resident’s Pet be Classified as a Service Animal?